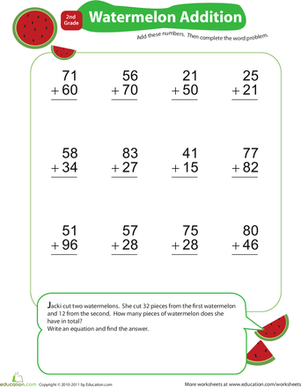 This citrus-themed addition worksheet will spark your first grader's interest in maths! As she works to complete a page full of double-digit addition, she'll improve her mental maths skills and understanding of carrying. The end of the worksheet challenges her to solve a bonus word problem. For further practise, make sure to check out the rest of the Add & Carry series! 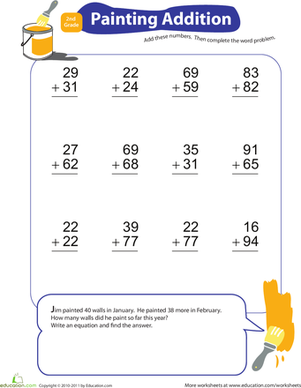 Help your second grader swim to the end of the addition finish line with this entertaining worksheet! 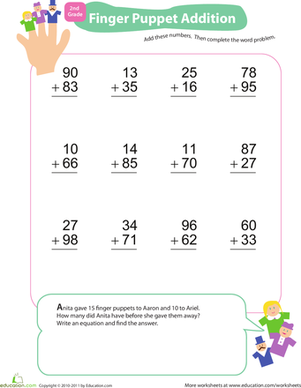 Get your first grader's addition skills on track with this adorable double-digit addition worksheet! 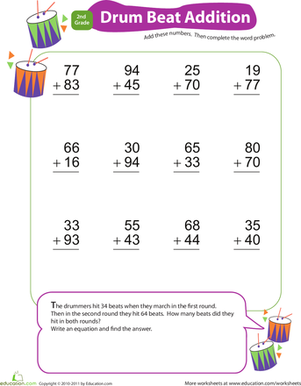 This "beadtastic" addition worksheet will get your first grader practising double-digit addition and thinking about some of the real world uses for maths! 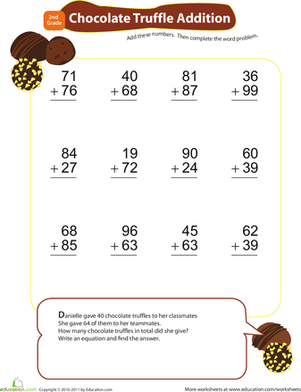 Looking for a painless way to give your first grader's addition skills a boost? 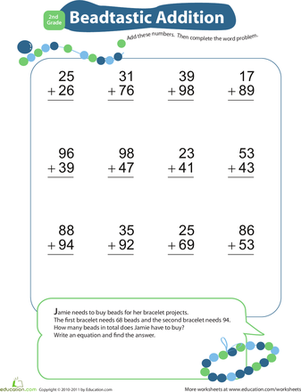 This colorful worksheet is your answer! 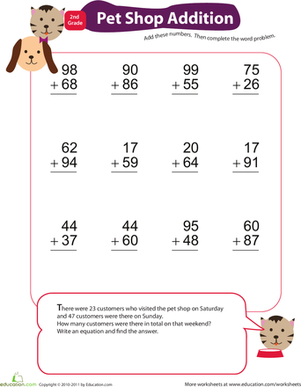 Incorporate his love of furry friends into the solution for boosting his addition skills! As these friendly insects provide some creature companionship, your second grader will learn to add and carry over remainders in multi-digit problems!